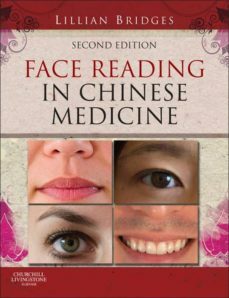 An exciting new, full-colour edition of Face Reading in Chinese Medicine featuring over 200 colour photographs and practical instructions on how to conduct a face reading! Face reading has been part of Traditional Chinese Medicine for many centuries, and Professor Lillian Bridges is a popular academic and international lecturer on the subject who gained her fascinating knowledge through her family line of Master Face Readers in China. Based on an understanding of the shapes, markings and features of a face, practitioners can learn about the health and life of a patient relating to the principles of Chinese medicine. In addition to understanding how the bodys internal functions - physical, psychological and emotional - can be seen on a face, practitioners can also learn how to evaluate Shen to understand non-verbal expressions. Technical and detailed information is presented in an upbeat, insightful and highly readable manner. This was the first book to focus on the deeper aspects of face reading and diagnosis, this edition includes ancient Taoist knowledge regarding the Original Face and Facial Jing and Qi markers which have previously only been taught through the oral tradition. Clear discussions demonstrate how this technique can be used as a supplement to other diagnostic tools in Traditional Chinese Medicine. Engaging, insightful, highly readable text is written by a well-known and experienced lecturer in the field. Extensive illustrations give you a clear understanding of theories and techniques. A focus on the deeper aspects of face reading and diagnosis helps readers become more conscious of their actions, reactions, and the health consequences of behavior.